Absolutely symmetrical lengthways, the building divides breadthways into two schools separated by an elongated row of workshops. Wiebenga, at that time the school's director, developed an innovative structure with a frame of concrete columns and beams. With facades relieved of their loadbearing function, windows could now run the full length of each without interruption. 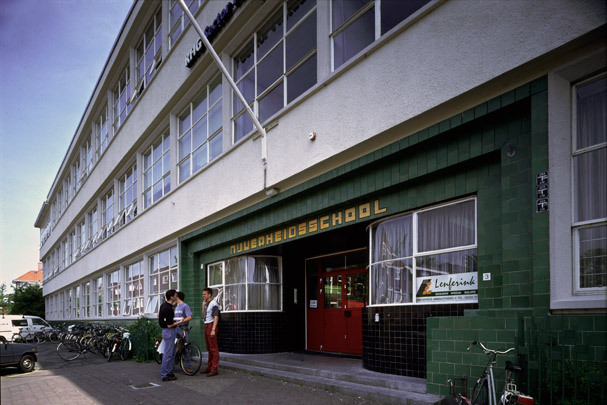 This school is generally regarded as the first completely functionalist design in the Netherlands. After years of neglect the building was restored and given a new entrance hall and is now being used by Hanze University.